I hope you don't mind if I take the word of engineers who actually ran many experiments over one guy's experience. There could have been something wrong with your filter; over oiled at factory and by you and some other issue(s). I really like the paper filters the engine came with, but no room for those with supercharger. You should do a search of paper vs oiled...every tech tells you paper filters better than oiled filters...this is commonly known. Why? I already said I preferred them. No real reason...simply discussing filtering capability and you mentioned some test that goes contrary to everything on the web regarding that issue. I am not trying to make this personal btw...no money in that is there. Last edited by Reiver; 12-17-2017 at 07:56 AM. You seem to be confused. The only test I mentioned was for K&N filters being too heavily re-oiled by users. Is this one of those deals where a person just has to get the last word?? Not really...I talked about paper filters being more efficient and you mentioned a test where someone somewhere said K&N's were 'ok' from the package. Even when 'ok' all testing shows they filter less than an OEM paper element and that was my point. 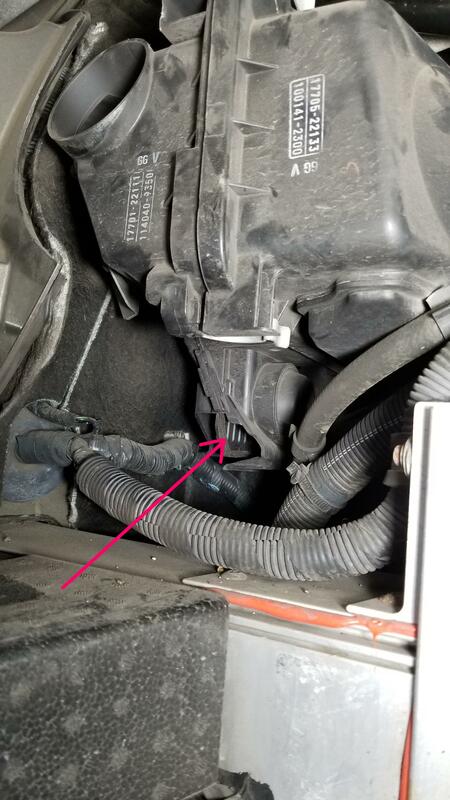 An OEM paper element breathes about 5% less efficiently as a K&N because it has more filtration....in the Az desert with low humidity and high dust particulate matter a K&N allows dirt into the intake...my experience and given impartial tests that is a fact. In other areas with higher humidity and less fine particulate matter probably not a problem. 1. Not "someone", but professional automotive engineers who tested filters for a living. 2. Do you happen to have the research on K&N vs paper? This may matter to ppl on this site. "The test subject was the K&N air filter. Yes it let many particles pass through"......my experience too. I need every last ounce of filtration where I live. Dirt road for 1/3 mile to my home...the dust is fine and with the lack of humidity hangs in the air when a vehicle passes or your tires kick up the soil. With a K&N I had dust/particulate matter thu the element enough to clog my carb jets. When I changed to paper filtration the inside of the housing and carb body was clean.....not scientific certainly but I could figure that out. Paper seems to work very well on that type of particulate matter it appears.....his test was in western Wash, hardball roads, high humidity so was not dealing with the same issue. He did say paper filtered better but not as good as he thought it would.....maybe he should test under different conditions. That was a pretty limited study. Anyways, go with what works for you....my field study indicated my choice. Last edited by Reiver; 12-18-2017 at 06:22 AM. Does this appear like something is broken? And what is the arrow pointing to?